This week marks the official start of winter on December 21. And while our weather is typically mild in Central Texas, we do experience the occasional bout of freezing temps, snow, and ice--just like we saw recently. Warm up inside first. 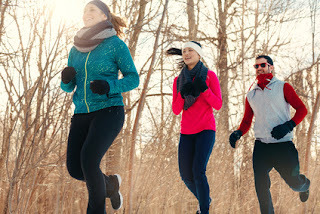 Before heading out on your running route, do a quick warm-up inside to get blood flowing and your heart rate up in advance of the shock of the cold. Not warming up properly can lead to shortness of breath, stressed joints and muscle strains. Dress in layers. Several light, breathable layers of moisture-wicking fabric work best in cold weather. You can shed layers as needed, and remember to wear a waterproof shell over it all if you expect rain. Don't forget to protect your extremities. Fingers, toes, ears, and noses are the most susceptible to frostbite if temps dip down to freezing or below (unlikely for Central Texas!). Knit hats bulled down can cover ears, and a scarf around the neck pulled up can keep your nose warm. Hydrate as if it were hot out. 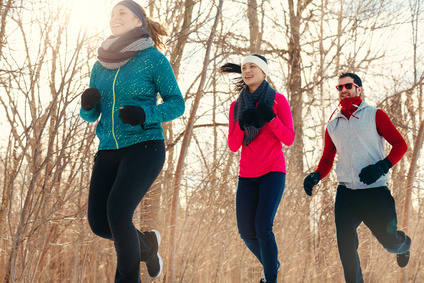 Even in the cold, your body loses a great deal of moisture when sweating. Drink water before, after, and during a rigorous run or workout--a good rule is to drink half your weight in ounces throughout the day. Watch out for ice. It's rare, but when it's there, a nasty slip or fall can lead to very serious injuries like broken bones, fractures, and even concussions. Wear sturdy shoes with good traction and stick to more well-traveled roads and/or fields. Also, with shorter daylight hours, early morning or after-work exercise can be dangerous. Stay visible by wearing reflective gear, or invite a friend to join you so you're not alone. Better yet, switch it up and opt for a midday/lunchtime workout when temperatures are at their peak. We all know that air pollution is harmful to your lungs, but new research is now saying that it can be damaging to your bones as well. A recent study in The Lancet Planetary Health found that air pollution increased the risk of bone fractures and osteoporosis in people over 65 years. Osteoporosis is a serious condition caused by decreased bone mineral density leaving bones brittle, weak and susceptible to breaks. Data was collected from two independent studies--one tracking hospital admissions among 9.2 million Medicare patients in the Northeast over an eight-year period, and another analyzed a specific parathyroid hormone (which supports bone health) in nearly 700 low-income men living in Boston. The potential for bone fractures among those over age 65 years increased steadily as levels of air pollution increased. 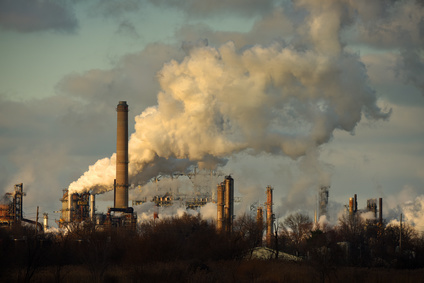 Those living in locations with higher levels of air pollution (such as industrial areas) had lower concentrations of the parathyroid hormone and lower bone density. Air pollution was likened to a form of diluted smoking which can cause cancer, heart disease, lung disease, and diminished bone density. In addition to avoiding areas with heavy smog and poor air quality, other ways to protect yourself against osteoporosis include following a diet rich in calcium, taking calcium supplements as needed, and exercising regularly to keep bones and joints strong. If you are interested in scheduling a bone density exam, or speaking with one of our specialists about your bone health, please contact us here for an appointment. You're about to have a house full of guests for the holidays, so everything has to be spotless, right? But experts warn house cleaning could pose some potential dangers, including falls from step ladders while dusting hard-to-reach spots, slipping on wet floors after mopping, and back strains from strenuous vacuuming or incorrectly lifting heavy equipment. Warm up just as you would before any workout. Do a few back stretches and neck rolls before setting out to sweep or vacuum your entire home. Keep a set of cleaning supplies both upstairs and down to avoid lugging them back and forth. Invest in products that offer reachability, like extender wands, to help you tackle high-up spots. Always practice correct ladder safety when climbing up (on a ladder or step stool) to clean something. Try alternating sides when vacuuming, and switch it up between right and left arms for each room. The noxious fumes from some cleaning products--especially those that are ammonia or bleach-based--can be dangerous too. Make sure to open a window or turn on the AC when cleaning for good ventilation, and never mix two products together. Consider some green alternatives like vinegar, lemon juice, and baking soda mixed with warm water, or one of the many certified "green" or "eco-friendly" solutions on the market these days. And if you do feel you've pulled something, or suffered an injury while cleaning, please contact us for an appointment. As holiday gift-giving reaches a frenzied pace this month, take a minute to ensure you've made safe choices. While that new motorized scooter with super-fast, jet-like propulsion seems cool, it could be a disaster just waiting to happen. ERs report huge spikes in activity in December and early January due to injuries from unsafe toys. Common injuries include sprains and strains, broken bones or fractures, deep cuts and skin lacerations, and even concussions. Ride-on toys are typically the worst offenders. 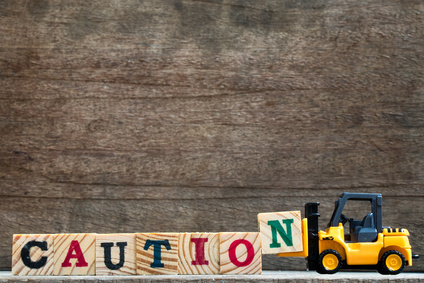 Each year, the consumer group WATCH (World Against Toys Causing Harm) releases a list of toys deemed unsafe after hours of rigorous testing and evaluation. The motorized toys have the biggest risk for your child because they can lose control and suffer serious injuries within split seconds. If you do opt for one of these items, make sure to review all operating instructions beforehand and always keep a watchful eye over them. With any ride-on toy, such as a bike or skateboard, you'll also want to invest in a good quality helmet and arm or elbow pads. And for the small kiddos, don't forget to check their gifts for any choking hazards. If your child suffers a serious injury after hours, visit Texas Orthopedics' Urgent Injury Clinic where no appointment is necessary and X-ray and casting capabilities are right onsite. You sailed through Halloween and the Thanksgiving holiday. But now December is here, and it's really 'go' time. There are so many parties and the 'to do' lists seem endless! And for some -- that translates to some major stress. Take a hike. Literally. Hiking or walking for at least 30 minutes a day outdoors stimulates the production of serotonin, a feel-good chemical in the brain. Sniff some citrus. The scent of lemons and oranges is proven to alleviated stress and better your mood. Rub a slice of the inside of the peel on your skin to release the essential oils or place a bowl of fresh zest on the counter to diffuse throughout the room. Stick to your daily routine. Keep your regular workout schedule going, or weekly lunch date with friends on your calendar. This sense of normalcy will help you feel more in control and less overwhelmed. Let go of perfection. You may forget to mail a card or gift, or send the wrong item to your child's gift exchange at school. Cut yourself some serious slack at this time of year. It will all be okay. Silence your cell. Dedicate a few days over your holiday to unplug. Turn off automatic email and text alerts, and check in only when absolutely necessary. Have some honey. Honey has antioxidant and antibacterial properties that can boost immunity, and the sweetness packs and energetic punch. Try a spoonful in your favorite warm winter beverages. Don't overschedule. 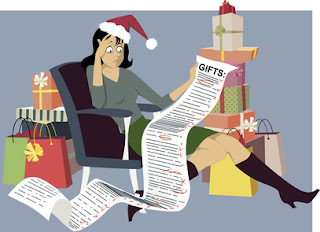 Focus on what and who are really important to you during the holidays. Your family maybe or a few special friends? Choose how you spend your time wisely, and remember that it's always perfectly acceptable to politely decline any invitation or say 'no' to a task you are not able to complete. Many high-profile athletes claim that ketones are the key to their enhanced performance. But what are they? And do they really work? 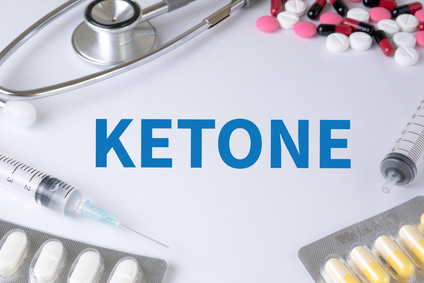 Ketone supplements replicate the effects of a high-fat, low-carb diet favored by many athletes these days (over the traditional high-carb diet typically followed for training). Burning through fat stored in the body is said to produce quicker bursts of energy/better performance than slower-digested carbs. A recent study published in Frontiers in Physiology, (conducted by the Australian Institute of Sport), evaluated the popular supplement on eleven members of a world-class men's cycling team. The men were given either a placebo drink or one laced with a ketone supplement an hour ahead of and then immediately before long rides, each averaging about 19 miles with intense pedaling at high speeds. Every rider who drank the ketone supplement performed worse than others who did not. Those riders' times were about two percent slower and power output was almost four percent less. Some form of gastrointestinal upset (vomiting, nausea, dry retching) was reported by each rider who drank the ketone supplement. While this study was small, and more research on ketones is needed, scientists feel that any boost athletes may feel from the supplements could be largely mental. If you are considering a ketone supplement, do so in moderation. Burning through stored fat too quickly can lead to sickness, as evidenced by the study, and potentially damage muscles and bones that do actually funnel nutrients from stored fat cells. This can result in muscle strains, sprains and even fractures or broken bones. If you have questions about ketone supplements and your training, please contact us for an appointment with one of our specialists. The moment the last of the turkey leftovers are finished (and sometimes even before), people are pulling out ladders to string up lights and decorate for the next holiday. 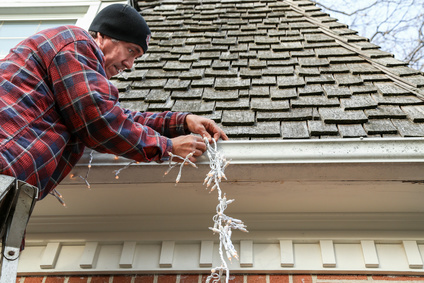 While decorating your house and packing it in with family and friends are what the holidays are all about, it can also create an environment ripe for accidents and serious injuries like falls. The CDC (Centers for Disease Control and Prevention) reports that more than 300,000 adults age 65 years and older suffer hip fractures and are hospitalized each year. Falls are the cause of more than 95 percent of these fractures. It's important for seniors to be careful around the holidays especially when in unfamiliar surroundings or homes that they visit infrequently. Young children are also at risk for falls, excitedly dodging between trees, strings of light, garland, and trying out new toys. Reduce clutter. Keep presents, packages and empty decoration boxes clear of doorways, hallways, and away from stairs. Designate a play area for young kids. Encourage them to play in their rooms or a den or family room away from the Christmas tree, fireplace, or any areas outside that are heavily decorated. Install nightlights. If having family and friends stay overnight, make sure bathrooms, hallways, and stairs are well-lit for getting around in the dark. Keep outdoor walkways clear. While we are not often at risk for slippery or icy walkways in Central Texas, you should still make sure that driveways, sidewalks, and entryways are clear of windblown leaves, sticks, or other debris for your visitors. Consider baby/safety gates. Placed strategically on stairs, these could prevent toddlers, and elderly family members alike, from falling if unattended. 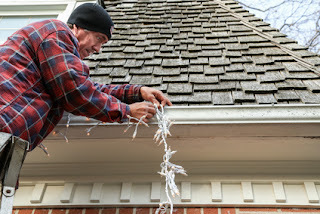 Also remember to practice proper ladder safety when climbing up to install outside lights or trim the tree. Choose the correct height for the job and make sure that it can withstand your weight. For other reminders on safe ladder use, visit the AAOS Ladder Safety Guide.